The Promenade des Fossés led us from the old city gate of Vézelay to the panoramic terrace behind the basilica of Mary Magdalene. A copse of towering trees, their leaves barely unfurled, harbored groups of tired tourists collapsed on stone slabs or benches. The rain soon stopped and sunshine lit the countryside to the south where we would be heading. From the table d’orientation, a platform with panoramic maps showing topographical features and distances, we could see Saint-Père-sous-Vézelay below and, further along, the ancient Roman road into the Cure River Valley. 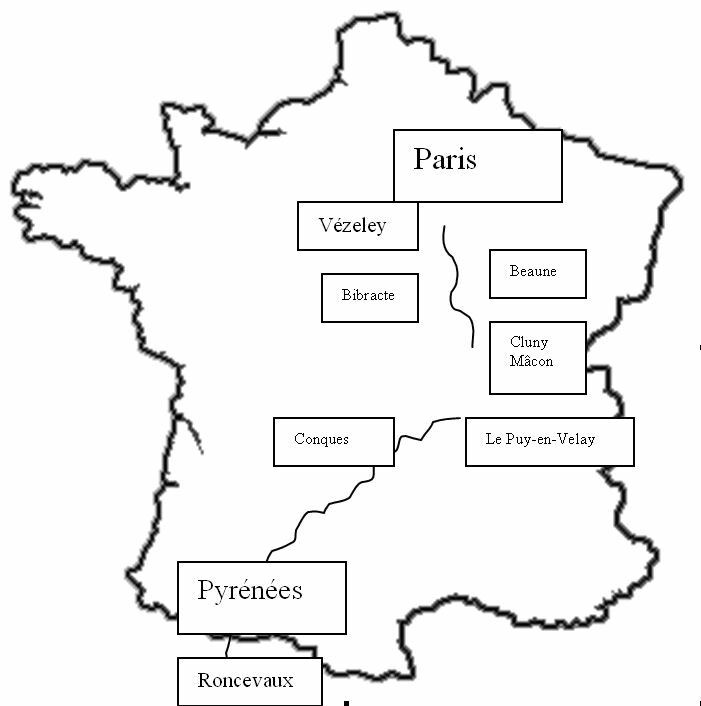 Domecy-sur-Cure, our first overnight heading south, and Marigny l’Eglise, our second, seemed a long way off. It was indeed a long and winding road, with nothing straight and narrow about it. When Alison and I got married in Paris, at the civil ceremony in the town hall of the arrondissement where we live the deputy mayor had described marital union as une longue route, a metaphor very like that of life as expounded by the Catholic Church. But the cohabitation of the church and the fiercely secular state republic of France was uneasy. It seemed at times that practicing Christians, Jews and Moslems were careful, almost secretive about acknowledging their faith. The French Revolutionary heritage of anticlericalism survived the restoration of the Bourbon monarchy and the reigns of the nominally Catholic King Louis Philippe and pious-opportunist emperor, Napoleon III. For the last 100 years or so, since the 1905 law decreeing a strict separation of church and state, the cult of the Republic has largely supplanted religion. A Frenchman’s first allegiance is to the Republic, not God, whatever name God or the gods or their messengers might wear. Yet most French names were saints’ names, often in disconcerting cross-gender combinations such as Jean-Marie for a boy or Marie-Pierre for a girl. Until the end of the twentieth century a curious French law had forbidden the use of names that did not belong to Old Testament figures or saints. At the same time no religious symbols, including the cross, could be worn ostentatiously or displayed in public offices or schools. It often felt like a fudge, an imperfect historical compromise to carry forward the twin French traditions of Christianity and republican statist secularism. The compromise clearly had not foreseen the advent of globalization, or the arrival of 5 million Moslems, some of whom wanted to wear headscarves in public schools, and others—a tiny minority—who appeared to Frenchmen to feel allegiance first and foremost to Islam. I couldn’t help regretting that by insisting on bucking the system they were driving many otherwise indifferent French toward intolerance, xenophobia and a return to the unsavory, retrograde kind of nationalism and religiosity that had long fueled anti-Semitism and racism here. What most French appeared to want was the freedom to name their children after soap opera or reality show stars, wear ostensibly religious symbols as fashion statements, benefit from subsidized education, retire early, and buy SUVs—the ultimate symbol of secular materialism in a country where gas costs over $10 a gallon. The roar of an off-road vehicle turned my thoughts elsewhere and I watched, half-amused, thoroughly disgusted, as an adolescent boy on a 4-wheeled Quad rode right into the park. He had obviously decided he’d had enough of the quiet of Easter Saturday. Flying under the trees, scattering tourists he tore off along the path behind the basilica. It was the umpteenth reminder that no country holds the monopoly on jerks and hormonal youths. Where in a modern Inferno and under what torment might a contemporary Dante place Quad riders, I wondered? 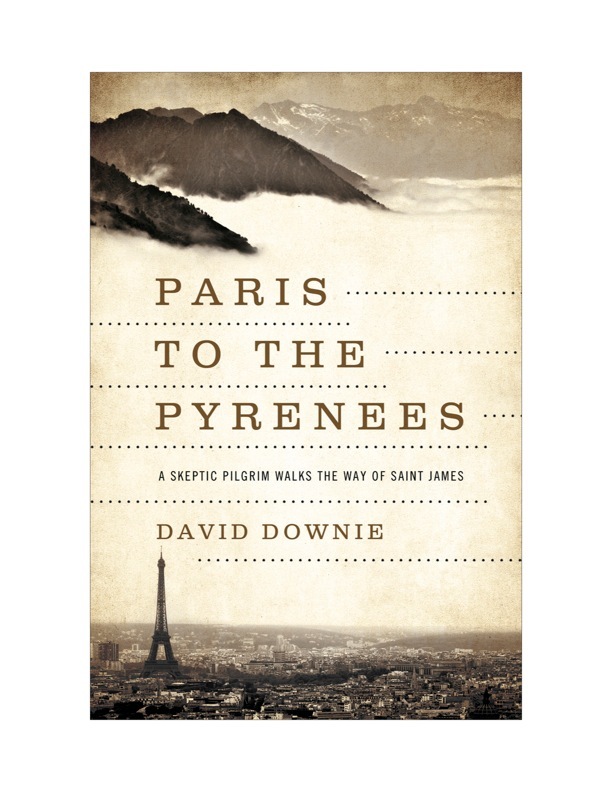 Order the paperback of Paris to the Pyrenees, it comes out in May 2014!